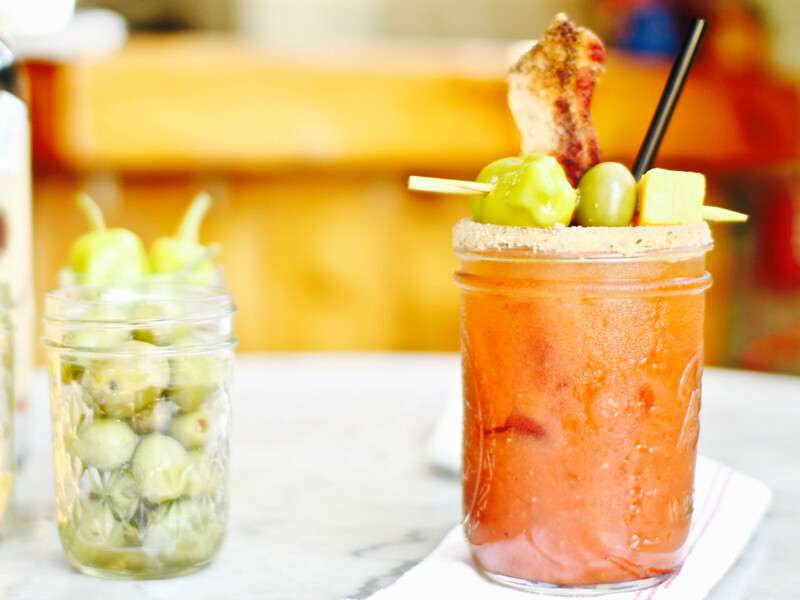 There are so many reasons to love the Bloody Mary: It is socially acceptable for drinking before noon, and it's practically a vegetable salad, i.e. guilt free. The traditional drink has been the focus of many local bars and restaurants in Austin who make it their mission to take the beloved concoction to the next level by infusing it with their own personality. And what's more Austin than that? Some like them mild, some like them spicy. 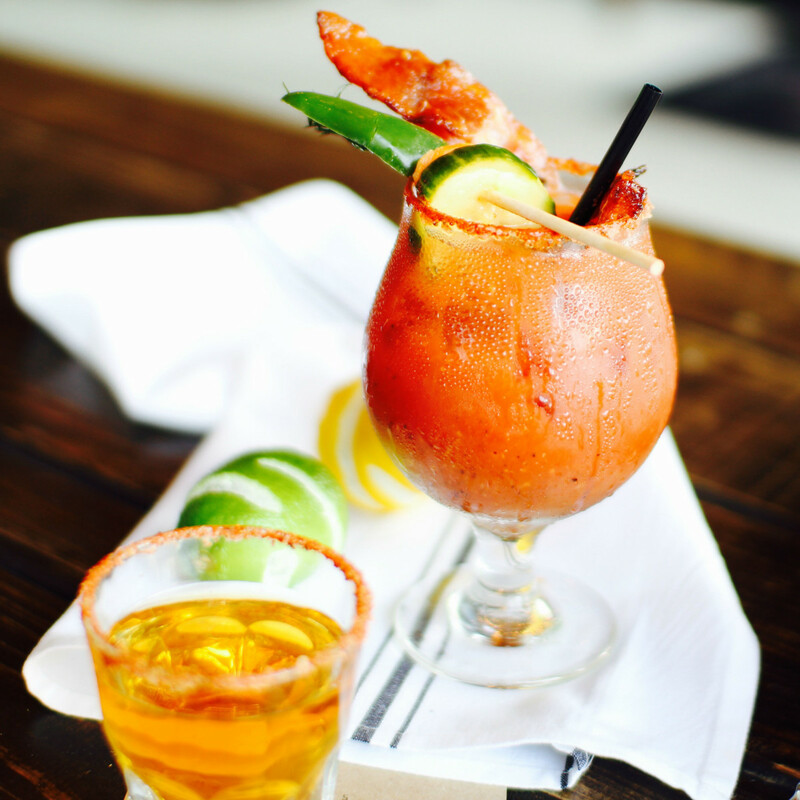 Between the traditional and simple, the upscale and over the top, you are sure to love one (but probably all) of our top seven Bloody Mary selections found around Austin. Corner, housed at JW Marriott, is known for its lively restaurant and bar that features Texas-inspired cuisine, fresh ingredients, and uniquely crafted tequila cocktails. But to me, the best thing about Corner is the two types of Bloody Marys. The first, which I refer to as the Saturday Night Mary, since the drink is not on the menu, is a super swanky, downtown take on the traditional beverage. 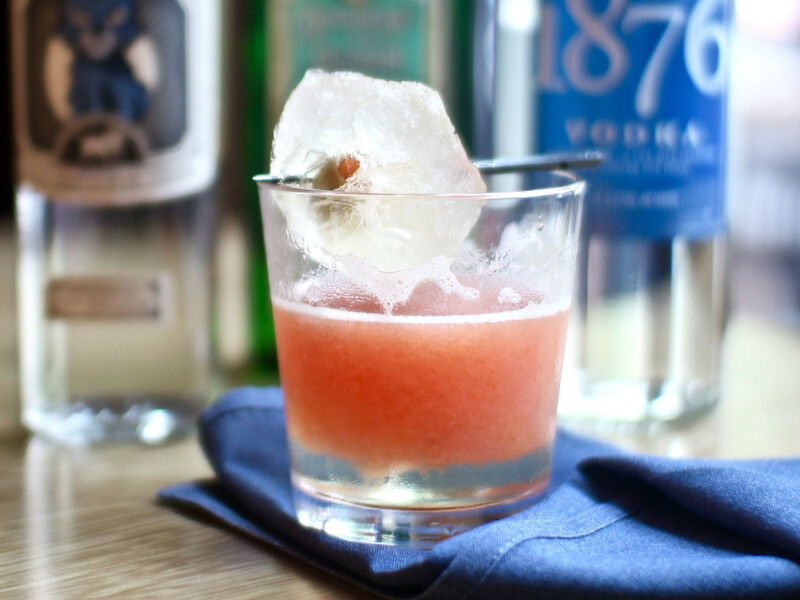 As the moniker suggests, it is a cocktail enjoyed on a Saturday night, and here's why: Featuring three types of alcohol (Cat Mezcal, 1876 Vodka, and Helbing Hamburg's Kummel liqueur), it packs a punch in a small serving. 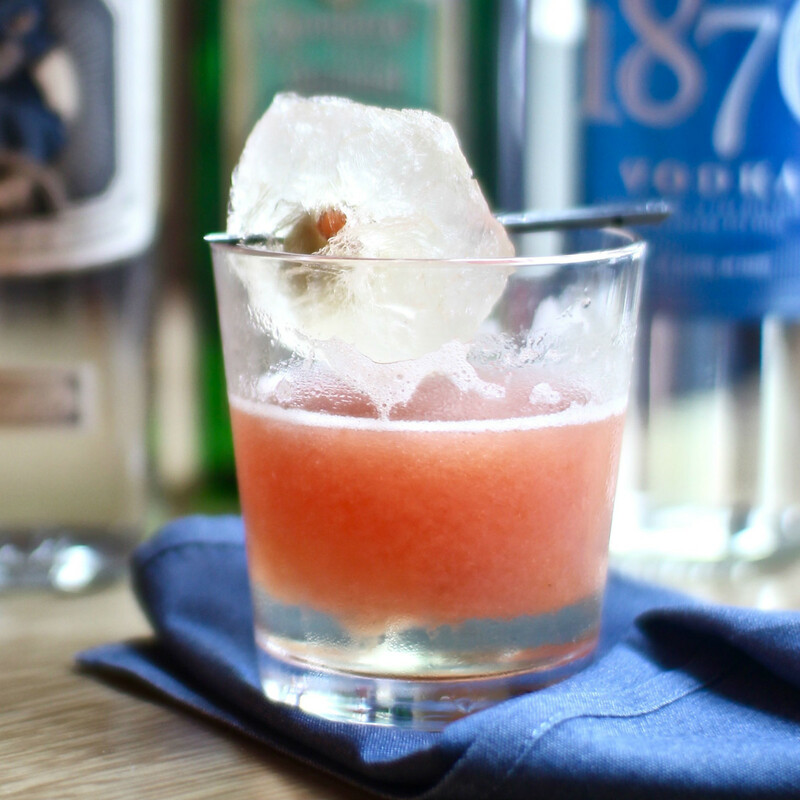 The smokiness of the mezcal and the licorice nature of Hamburg's Kummel blend perfectly with the toned down tomato juice, giving you the the most upscale version of an otherwise simple cocktail. Add vodka and you have the recipe for an outstanding date drink. And you will only need one. Poured over a salt water and olive ice cube, which melts as you sip, it brings out the saltiness reminiscent of a traditional Bloody Mary. It is, simply put, genius. Corner's regular Bloody Mary is just as amazing. 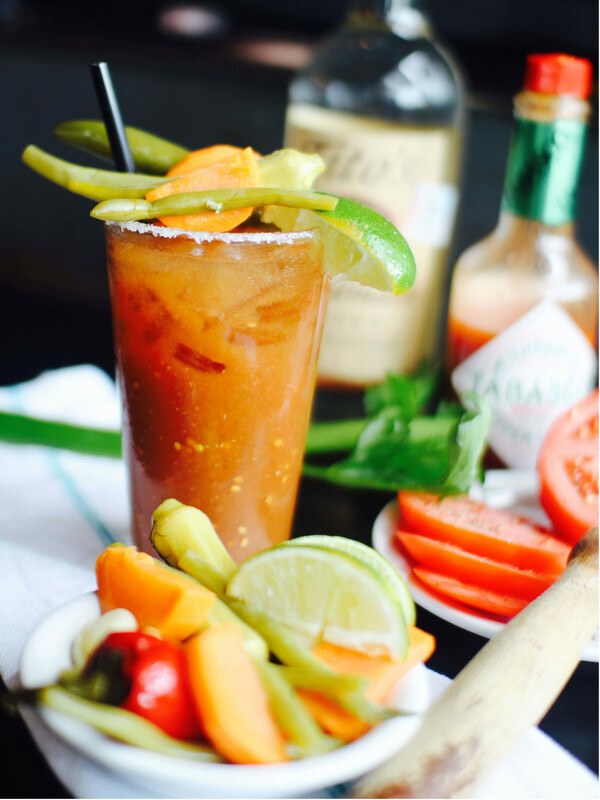 1876 Vodka takes center stage, as a mix of house spices and rustic tomato brings you exactly what you would want in a daytime Bloody Mary: spice, flavor, and vitamins, duh. Garnished with a juicy slice of lemon and two olives, it's a suitable side to their incredible food. I'm not sure I have the right words for Freedmen's Holy Mary. It was truly one of the best drinks I have ever tasted. Not only is it double size (full liter! ), it is made with Canadian whisky for an extra bite, and features not one, not two, but three types of meat as garnish. 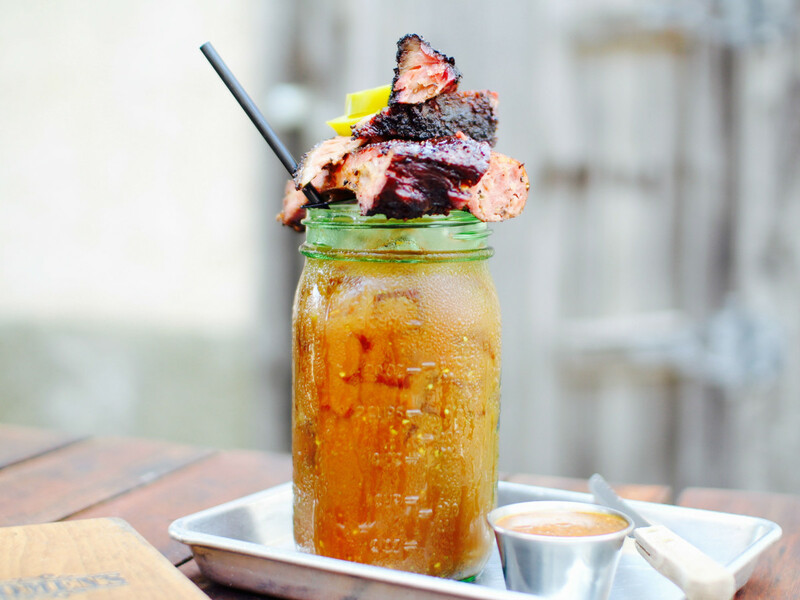 When mixologist Harrison Arth came up with the recipe, he wanted to make sure it was all about the smoke, since Freedmen's takes their barbecue pit practices extremely seriously. The juice is formed with house-smoked pureed cherry tomatoes and dill pickle juice, balancing out the spiciness of the whisky and seasonings. This Bloody hits right in the Goldilocks zone, not too spicy, not too mild with just enough kick, and oh so much flavor. They refer to the half pound of meat on top as the “holy trinity,” made up of the flakiest, most incredible brisket slice, sweet ribs, and spicy sausage. No need to order a meal with this beast, but if you do, order the regular size where you can swap out the spirit for something other than whisky. Either way — Your. Life. Will. Be. Changed. 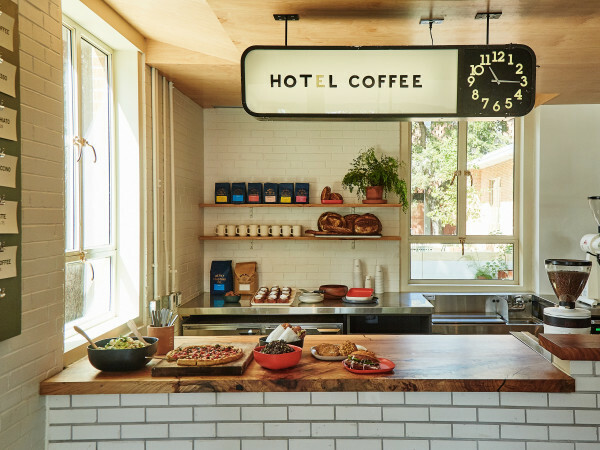 The W's Brisket Mary is right in line with the minimalist vibe of the brand. It is all about the flavors and keeping it classy. Dustin Cartright, the mixologist who came up with the recipe at home two years before it ever made it to the W's menu, explains the very detailed process of infusing rye whiskey with in-house smoked brisket drippings for the delicious smoked flavor. They use Bloody Revolution, a local Bloody Mary mix, and top it with Pearl Snap Pils for an added layer of goodness. As if it needed any more depth and flavor, it is then garnished with two types of locally sourced pickles by Pogue Mahone. The idea behind this take on the beloved brunch cocktail was to keep it Texas, keep it Austin, and to keep it real. And that they did. If candied bacon hasn't entered your life yet, the Red Snapper is the perfect way to introduce it. 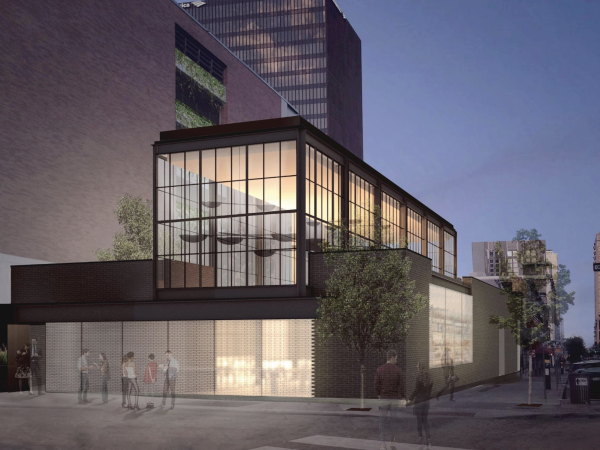 South First Street's Porter Ale House took their roots very seriously when coming up with their take on the Bloody. Owners Trevor Lane, Neil Joiner, and Joe Bixel decided to use Ballast Point Fugu Vodka and Ballast Point Bloody Mary Premium Cocktail Mix and serve it with a side of Ballast Point Sculpin. Staying true to form, the Ballast Bloody Mary Mix includes malted barley, hops, and yeast, which are all used to make beer. Porter put great effort into tying their Bloody Mary to the overall concept of the ale house, and they did a superb job with the combination of flavors. 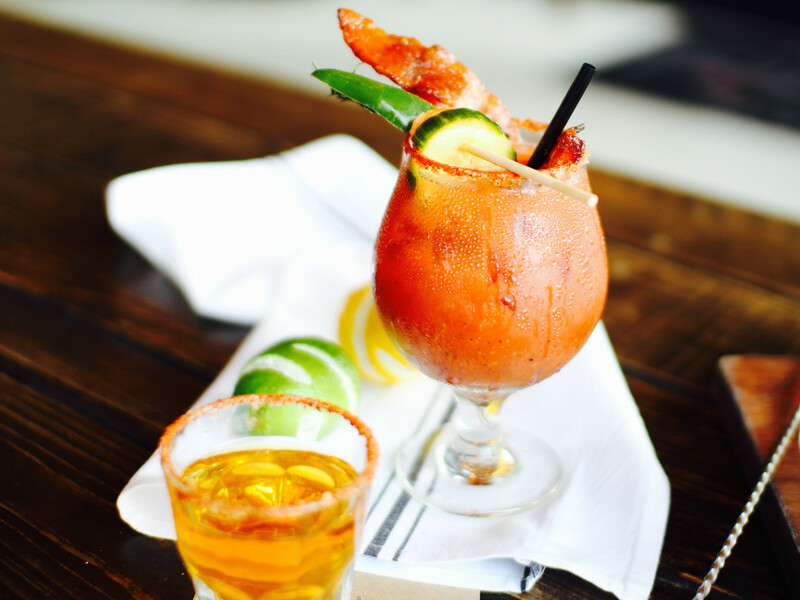 Garnished with house-pickled vegetables, a custom blend of spices, celery salt rim, and the most divine bites of candied bacon, it is sure to lift your spirits on a Sunday morning, and have you asking for seconds. While you’re there, do yourself a favor and order their version of a White Russian, which is essentially like the most magnificent adult cereal bowl. The best aspect of Jack Allen's Bloody Local, is that it's fresh and local, as the name implies. 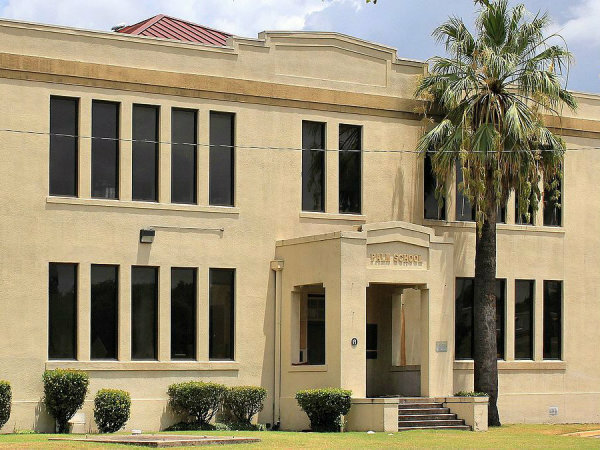 Everything that goes into it is grown, made, pickled, distilled, and infused in Austin. The very knowledgeable mixologist David Toby has perfected the blend of eight different peppers sourced from local businesses, mingled with ancho chili flakes and peppercorn, which he uses to infuse local 1876 Vodka. The weekly infused vodka is then merged with a tomato mix created in house, featuring tomato juice, lime, garlic, horseradish, worcestershire, shallots, and a custom blend of seasonings to bring out the first-rate flavors from the pepper-infused vodka. 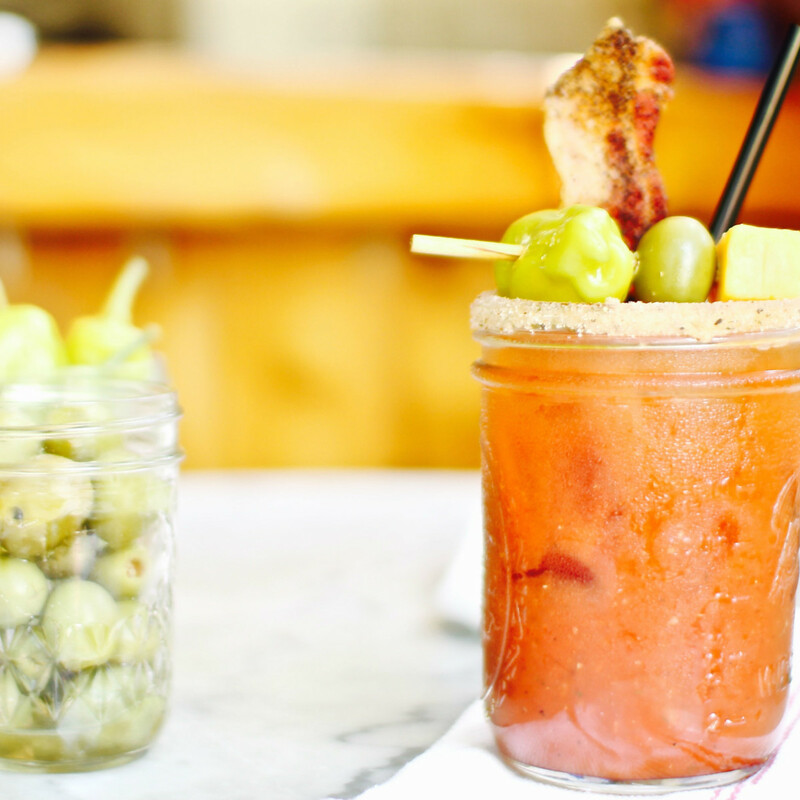 Highlighting a balance of heat, sweetness, and incredible flavor, this Bloody Mary is then garnished with house-pickled okra, cocktail onions, lime, and olives, and served beside the yummiest of brunches. They also use the same infused vodka to make other cocktails, such as Kicking Donkey (a version of the Moscow Mule), and El Diablo Martini, which are definitely worth a try if you can handle it. 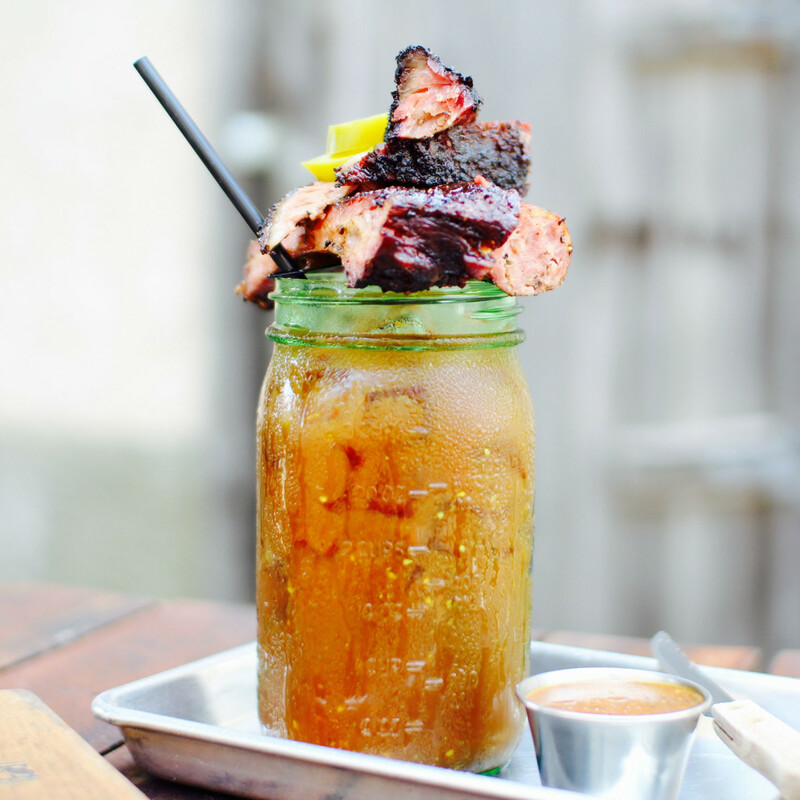 Frank has some of the most popular pork dishes in Austin, which translates to their Red Headed Stranger, an infusion of Tito's Vodka with bacon fat built for their brunches. Add salt, just the right amount of wasabi, and Sriracha and the result is an impeccable outcome of flavors. Frank's owners experimented with the recipe until it was absolutely fool proof, and the garnish of cheddar cheese, pepperoncini, jalapeño-stuffed olive, and a slice of peppered bacon take it over the top. 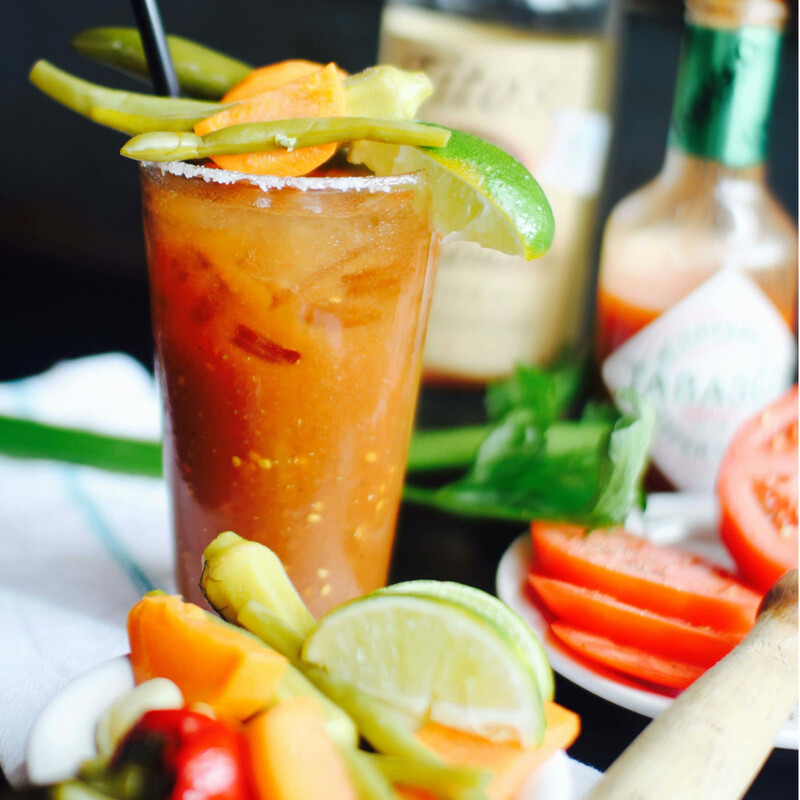 Featuring enough spice but a whole lot of balance, it's no wonder Frank's Bloody Mary is considered one of the finest in Austin. We all know 24 Diner as the place with the best milkshakes and amazing late night food that makes being out all night totally worth it. But what you may not know is that they also make a mean Bloody Mary. The house-made tomato mix, accompanied by Tito's Vodka and paired with house-pickled seasonal veggies, make this cocktail one for the books. An appropriate amount of spice and the flavors of fresh tomatoes and veggies will help you feel energized. Next time you’re in, have bartender Matt Russell prepare you one and you will forget all the bad choices you made the night before.